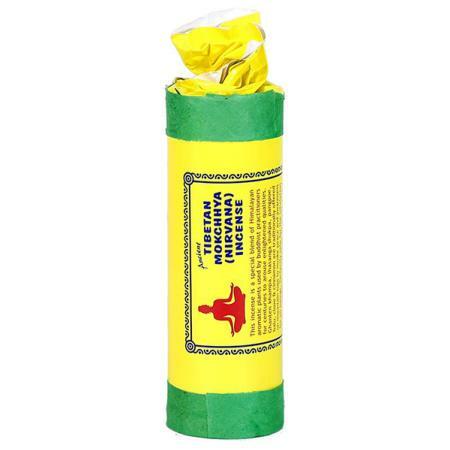 This ancient incense recipe is a blend of aromatic plants found in The Himalayan aromatic plants and has been used by Buddhist practitioners for centuries, to arouse enlightened qualities. 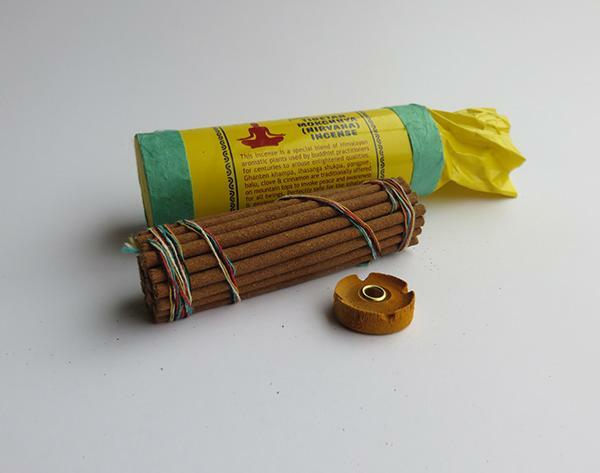 Ghanten Khampa, Lhasanga Shukpa, Spikenard (Pang Poe), Balu, Clove & Cinnamon are traditionally offered on mountain tops to invoke peace and awareness for all beings. All these plant-based ingredients are blended to create these 'Nirvava' sticks.